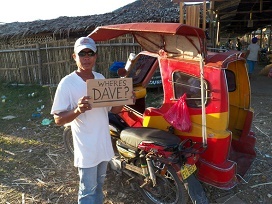 “Philippines Pitfalls: Tricycle Sideswipes our Ford Ranger.” My wife had just passed the home of an Australian friend of ours on a main road minutes from our home. 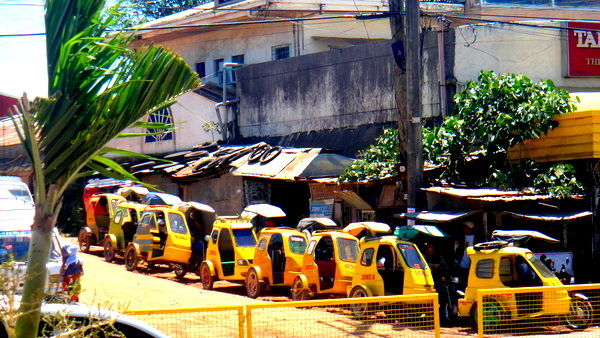 Tricycles and motorcycles were parked on both sides of the road, a common problem in Guimaras, our island province. The trike driver did not wait for my wife to go through and tried to squeeze his way through the narrow path on the road. His bike, full of passengers, including his wife and mother-in-law, made a horrendous scratch down the passenger side of our Ford Ranger, but fortunately no one was injured. The driver took off. My angry asawa ran out of our vehicle and headed into a nearby home where a birthday party was going on and where the tricycle had parked. The bikes and trikes blocking the road had passengers inside the house quaffing copious amounts of Red Horse Beer. I was at home watching television unaware of what was going on. Since I do not have a cell phone and do not desire to own one I could not be reached. The trike driver that had hit our truck was nowhere to be found. In the meantime one of our nieces waiting in our truck had sent a text message to their “Papa,” our brother-in-law Joery. The mother-in-law of the errant tricycle driver turned out to be a relative of my wife’s, of course. She begged my wife to not report the incident to the police but my wife had already contacted our local Philippine National Police, PNP, station. By this time Joery showed up and questioned one of the party goers, another relative, as to the whereabouts of the trike driver. The relative was in an inebriated state at this point. “Who are you, the police?” the drunken relative asked, fist raised. At this point the trike driver finally showed up. He had gone home to change his dirty clothes as he had been working in a muddy rice field. The local PNP had arrived by then, only 30 minutes after my spouse had called, and the trike driver admitted he was looking back and took responsibility for the accident. After I closely examined the damage done by the tricycle, I realized the long scratch inflicted by the tricycle was superficial and could be rubbed out. There was a chip of paint about the size of a peso that was evident but some touch-up paint would take care of that. The damage wasn’t even worth the cost of filing any claim. Since the trike driver’s mother-in-law was a relative and apologized, we felt no need to press the matter any further. We filed a “blotter report” with our barangay captain, with the trike driver and his wife present, and settled the case without demanding any payment from the trike driver. I shook hands with the tricycle driver as we signed the official blotter report testifying that both parties had reached an agreement on the incident. 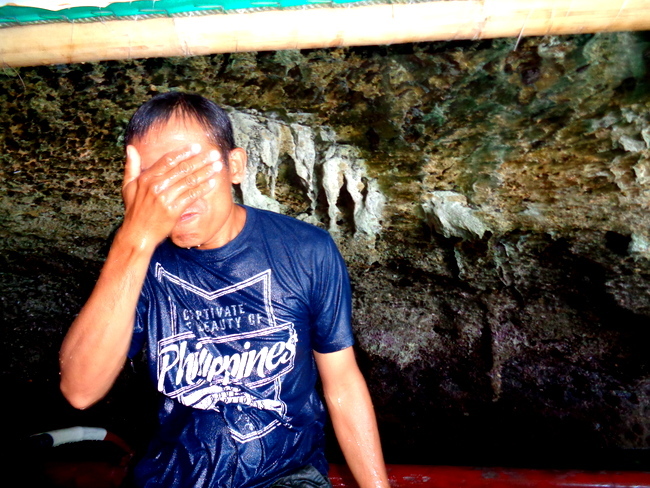 “Philippines Pitfalls: Tricycle Sideswipes our Ford Ranger.” Another adventure in the life of an American expat in the Philippines.